Chef Tamara began with her experience within the hospitality industry with the premise of adding the “savory ingredient” to any event with fresh, creative, innovative menu options. Simply Thyme Catering is a minority-owned business – created, developed and managed by Tamara Leibfarth CEC, since the company’s inception in December 2005. 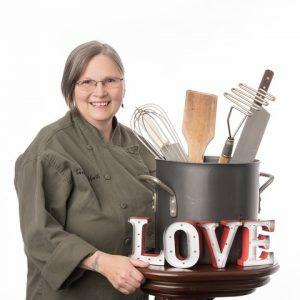 Opting to eliminate a 90 mile-a-day commute, she wanted to bring her talents back to Clark County and after reviewing other caterers in the area, she established here, determined that her unique experience, talent and menus would be of benefit and service to our community. Simply Thyme Catering started with services for both Social and Corporate catering (February 2006) and soon followed with Aviation Catering (August 2006), where catering is provided for private jets/charters flying from PDX. These events are produced with recruited staff eager to contribute with their skills and talents, supporting both catering and business practices. Catering staff is currently a core of 10, with part time support staff of 5, meeting the current needs of catering’s seasonal fluctuations. The owner of Simply Thyme Catering, as well as staff have current food handler’s cards, many qualified for Alcohol Servers permit, while Chef Tamara and her Sous Chef are SERV SAFE Certified, a national food safety training program which includes HASAP training. Simply Thyme Catering is a growing company with clients from the Vancouver – Portland Metro area recognizing our commitment to quality and service. Adding to our marketing efforts and resulting growth, Simply Thyme Catering has developed and offers a range of menu options, from Breakfast Thyme, Thyme to Go Box Lunch, Hot Options, Soup Thyme to Seasonal Thyme – all focused to meet the needs and tastes of host and guests. These menus provide corporate clients a range of product and price points to meet their budgets. With an extensive list of appetizers, sides, salads and entrée selections, we assist in coordinating menus, as well as rental considerations, with clients hosting social events, supporting their vision for their event . . . . with a focus to provide the host the opportunity to be a guest at their own hosted event. This year, Chef Tamara has added wine pairing classes around town where you can book an evening of fun for you & your partner, or a Team Building experience. Simply Thyme Catering’s business practice also focuses on our environment, leaving initiatives to leave minimal environmental impact through practices of recycle, reduce, reuse and composting, while making product selections based on these factors as well; what we bring into our facility and its use is of equal value to what we offer to our clients and what we create in catering. At our current location, Simply Thyme Catering participates in Clark County’s GREEN LIGHTS program, purchasing 100% of our electric utilities in renewable energy. We provide bio-friendly guest service ware with the use of bamboo fiber dinner/lunch/appetizer plates, potato dextrin forks, knives & spoons, corn dextrin drinking cups and compostable coffee cups with no up-charge to our clients. We make conscience efforts in coordinating our delivery schedules to be both time and fuel efficient. With customer approval, any left over menu items are donated to SHARE HOUSE. Hoods, ovens, & grills are only turned on for their specific use, reducing electricity and gas usage. Simply Thyme Catering looks to supporting and buying locally when possible when providing for our Corporate, Social and Aviation Catering clients. Simply Thyme Catering has been Green Certified through Clark County for 3+ years and the 2017 Green Business Award winner for small businesses. Lastly, Simply Thyme Catering is conscious of other ways we are able contribute to our community by sharing our enthusiasm, experience and/or products of this industry and supporting local community projects with good will in our small way. Below is a list of our current community activities. Simply Thyme Catering is on the board for Impactful People and is the Catering Sponor for all events. 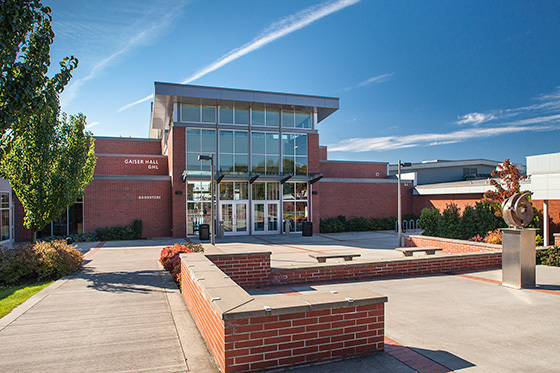 Simply Thyme Catering actively supports efforts in education with auction donations to Evergreen School District, School House Supplies, Oregon College of Art & Craft, Washington State University – Vancouver and St. Joseph’s Catholic School. Simply Thyme Catering is active with GVCC by sponsoring golf tee at the Annual Golf Tournament, a table at the Annual Inauguration Dinner and a presenter at Savor the Flavor. Relay for Life, an annual event for The American Cancer Society, has had support from Simply Thyme Catering in their fundraising efforts (2006 to present). Simply Thyme Catering works with Slow Food USA’s Youth Network. The Youth Network extends its reach across the globe through community-based events like Disco Soupe celebrations, Eat-Ins, Food Film Festivals, and celebrating food culture and championing sustainability! Chef Tamara participates in three of Clark Counties Farmer’s Markets all summer long to be involved in local community activities. She brings her “savory ingredients” and food booths to both Camas and Salmon Creek each week.